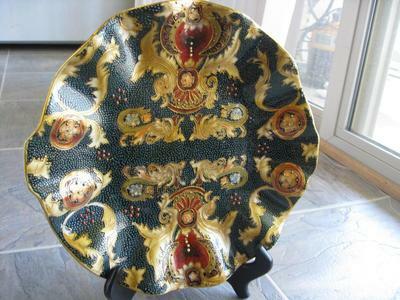 Hi, i have that plate that is decorated with paint, gilt and enamel? beads( not sure what is the term for this type of decoration) that i am trying to figure make and age. 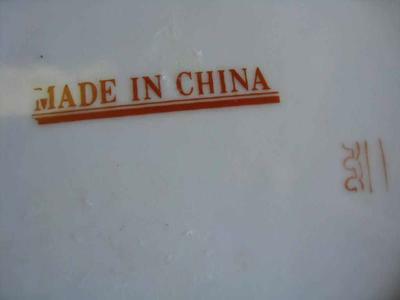 I know that 'made in china' stamp is revealing a recent export but curious about what is the other red mark. Any help will be welcomed. Thanks in advance! Thanks for the fast reply. I just noticed that these are letters rather then a symbol. 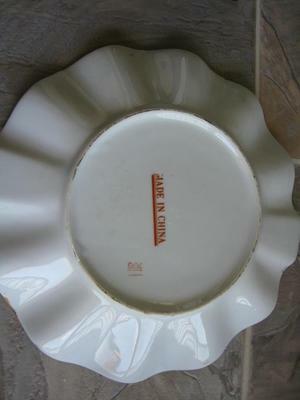 I dont think it reads RPG but i will try to figure it out. For sure the last letter is G.
I don't know what the name for this decoration is, but overall this is copying a Japanese decoration style. 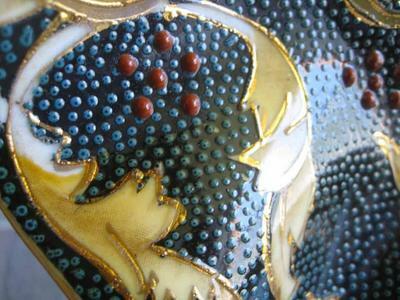 You will find the decoration type on Japanese porcelain. Also, I do not know what RPG stands for.